Creations by Moncler Genius are seen during Milan Fashion Week in Milan, Italy February 20, 2019. 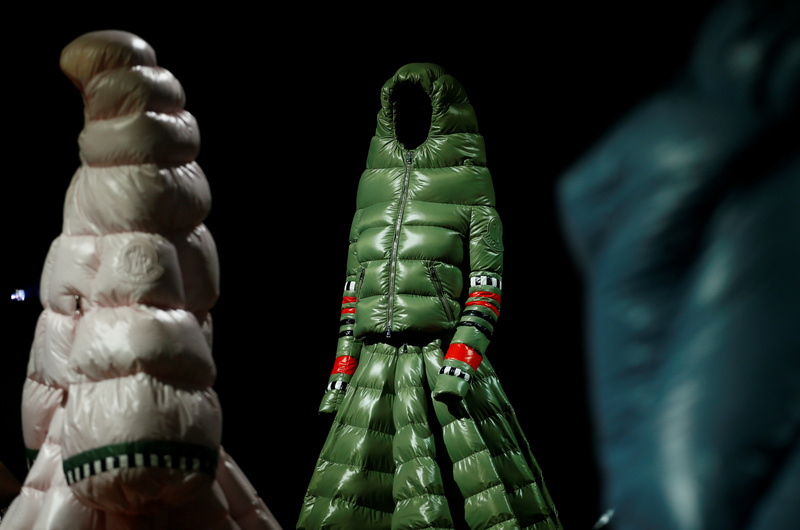 Moncler on Feb. 28 reported 2018 full-year revenue of 1.42 billion euros, up 22 percent year-on-year disregarding the impact of currency moves. That was just above the 1.4 billion euros estimated by analysts, according to data from Refinitiv SmartEstimate. The Italian luxury puffer-jacket maker said retail sales growth on a like-for-like basis was up 18 percent year-on-year. Chairman and Chief Executive Remo Ruffini said in a statement: "We know that economic and geopolitical uncertainties could make the path steeper in the coming months, but I believe it is precisely in difficult times that one becomes stronger." Moncler shares were up 10.7 percent to 37.3 euros by 0934 GMT on March 1.